A Little Time and a Keyboard: Celebrating Vermont Craftmanship in Waterbury! Celebrating Vermont Craftmanship in Waterbury! On our way to Burlington, Vermont from Portland, Maine, we ambled around the Waterbury, Vermont area. With its picturesque and pristine landscape, it is no wonder that Vermont is the home of so many inspired makers. Lucky for us, many of them are clustered around the Waterbury area. 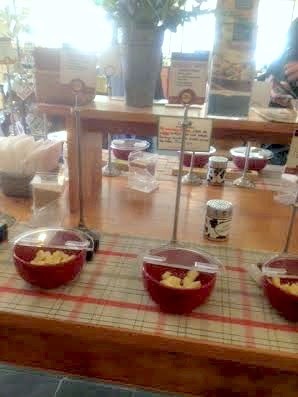 So, in a nice afternoon, we were able to sample a number of Vermont creations. 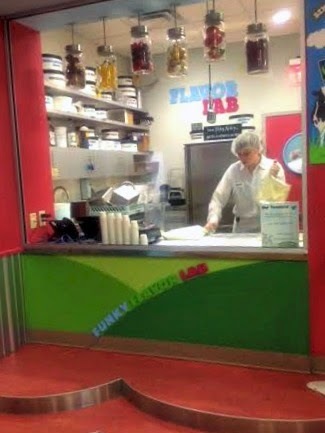 Ben & Jerry's Ice Cream Factory held the coveted top spot on my daughter's to-do list for our vacation. Seeing the delight in my daughter's face during the tour and hearing her stories ever since show that the tour certainly did not disappoint. Tours begin with a video. After the video, you go off to see the factory through viewing windows. You end in the tasting room where you can see where flavors are mixed and tasted. Everyone gets to try a nice size portion of one of the newer flavors. During the tour, you learn a lot about how Ben & Jerry's came about as well as the company's green practices and community initiatives. Tours are $4 per person, free for kids under 12--which is nice. Tours last about 30 minutes so they do not eat up your day. Not too far from Ben & Jerry's is the Cold Hollow Cider Mill. When my husband told me that we were going to a cider mill, I was expecting a place to try some ciders. When I walked in, I immediately noticed that it is so much more! 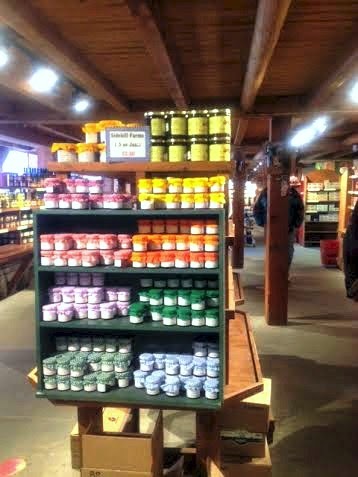 The store houses products from a plethora of local makers selling socks, soaps, maple syrup, preserves, baking staples, wood cutting boards and more all made in Vermont! 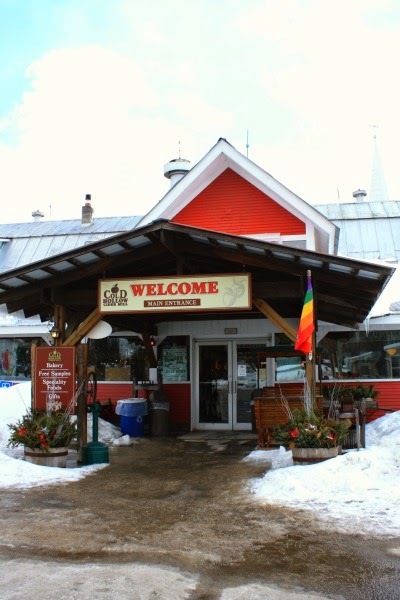 This really is great place to pick up some souvenirs from Vermont! Of course, it is a cider mill. So, when you stop in, check out the cider press and sample some cider! There also are traditional treats that are customarily found at cider mills likes pies. So many treasures--how could one not find a gift to bring home! Housed in a restored historic train station in Waterbury is the Green Mountain Coffee Café & Visitor's Center. The Visitor's Center had a nice interactive exhibit that went beyond explaining bean to cup and also introduced visitors to Green Mountain's ecofriendly initiatives, the villages that the company works with and Green Mountain's programs helping their community and the villages that provide the coffee beans. After we finished checking out the exhibit, my husband and I enjoyed a complimentary sample of Green Mountain Coffee. The exhibit and sample are free. The center also sells items from around the world--even from the villages Green Mountain works with. Plus, you can pick up a sandwich, baked goodie or coffee to enjoy! Our afternoon exploring Waterbury gave us a real feel for the innovative spirit of Vermont. We learned a lot about these local companies and left with a new appreciation not only for their products but also for their efforts in supporting the communities, environmental stewardship and fair trade. Waterbury is really worth a stop if you are on a trip to Vermont!